y fancy-pants new computer was installed at the weekend. And what better way to put it through its paces than to crank Skyrim’s graphics settings up to max and throw myself back into the life as the Dragonborne? As part of my upgrade I wiped my hard drive and my saved games along with it, so I started again similar my previous “bard” class (unarmoured, speechcraft, blade, bow, sneak and illusion) except with the speechcraft element removed and replaced by enchanting. This time around I decided to enhance my experience with mods. I don’t tend to play the ones which add the “Greatsword of Uber-Pwnage!” or ones which spawn Mammoth-Hide Armour in the centre of Whiterun, I always feel like those kind of mods detract from the immersion as they tend to come with stilted dialogue, somewhat unrefined graphics and awkward or non-existent voice acting. Instead, I tend to go for mods which enhance my experience or add little features to make the game more realistic or balanced, such as the Sounds of Skyrim mods I downloaded on Monday. This nifty little mod adds over 90 extra sounds to dungeons, caves, forts and other little adventurer’s playgrounds. The sounds are tailored to the enemy found in the dungeon (distant screeches for Falmer-filled Dwemer Ruins, skittering bats and eerie echoes for vampire caves, or clanks and creaking gates for lonely old forts) and seamlessly blend into the background noise of the dungeon as a whole. 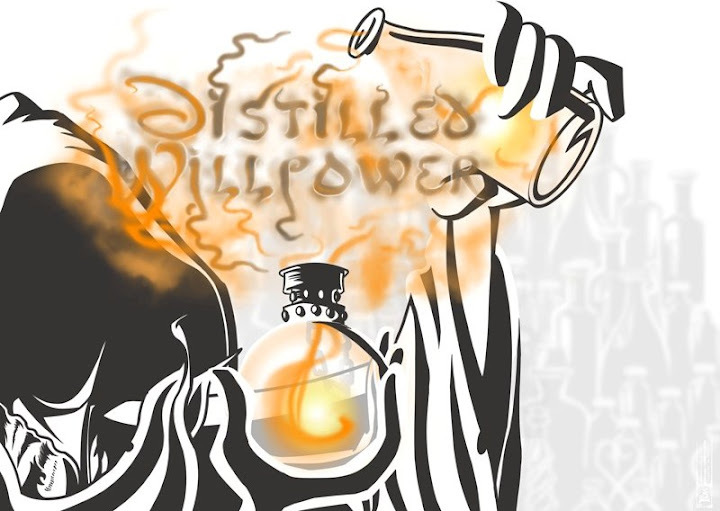 I did embed a nice little video here, but it was far too big and it went over the right hand menu. So click this link to YouTube for a little looksie! 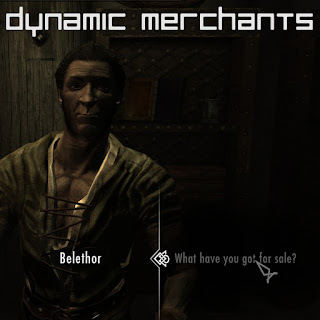 Another example is a simple little mod called "Dynamic Merchants" which alters the way you interact with the various vendors around the world. The more you visit a specific merchant, the better off they will be – with more gold for trade and different items available to those you really favour. What this means is that instead of thinking “oh hell, I’ll just go to the nearest black-market Khajit salesman – who cares if he smells of Skooma and has blood under his fingernails? I can’t be arsed to walk back to Whiterun” you actually make the effort to speak to the same vendor almost every time (I tend to favour the general supplies in Whiterun and Riverwatch, and the smith in Riften) because you’re able to get the most out of them. If you’ve been playing the Elder Scrolls games since Morrowind (or earlier) you’ll know that installing player made mods can be a bit of a picky process: extracting the files to the right locations, making sure you overwrite where appropriate and that confirming that it doesn’t conflict with any of the other hundreds of mods you might have running at any one time. This process was somewhat simplified by later programs such as Wrye Bash and others which managed the mods for you, but it still required a bit of micro-management. With the latest game being supported by the Steam Workshop, most of these problems are eliminated. Downloading, installing and keeping up to date with mods is as simple as clicking “Subscribe”. Each time you load the game, Steam automatically checks for updates to the mods and makes changes where appropriate. The upshot is that I find myself trying mods out left, right and centre – because I know that I don’t have to keep a tab on them like I had to for Morrowind and Oblivion. Player-made mods are as integral to the Elder Scrolls experience as dark elves, dungeons and daedric skullduggery. I can’t imagine playing one of the series without eventually delving into the murky depths of the modding community. The Steam Workshop is an absolute god-send, and frankly I’m flabbergasted by how easy it all is – if you’re still playing Vanilla, I suggest you try at least one or two of the top mods, when it’s this easy, there really is no excuse.